10 hours program for self-help. 100 hrs program training course. The training course is part of the Holistic Health Coach Course program, part of the Holistic Health Course program, and part of the Yoga Master Course program. Hours from this course can apply as credit for all mentioned above courses. Don't work less. Work better. As a coach trying to achieve my own health resolutions, I see the need for setting proper personal priorities. There is always a point where the urgent things to be done don't seem to leave much time for other important things that also need to be taken care of - like health. Health, from my perspective and my personal experience, needs to be at the top of the list for all the others things to happen in the best possible way. It is good to be able to make plans about fixing the car, looking for a better job, realizing your wish to travel around the world, but without health, it will demand double your time and energy in order to achieve all these things. When I say Health, I refer to feeling good, having energy, being relaxed and maintaining balance - leaving illness, pain or any symptoms out of the equation of things you need to deal with. For the important reason of my own health, I felt the need of developing a clear self-help technique, that it could be used to help people interested in helping themselves and/or in teaching self-help to others. Endocrine Nervous Track Exercise for Reprogramming is a technique that has been developed by Horacio Roa over 25+ studying self-healing methods to help his clients with the process of health regeneration. E.N.T.E.R is particularly useful when applied to tendonitis, carpal tunnel syndrome, low range of motion issues, and many different muscles related issues, improving the level of relaxation to allow the muscle to go back to its natural mode. By improving relaxation in this level, you help improve health of organs and systems, since everything in the body can work more freely. It also can be applied for sports health as a technique for those times when fast regeneration is essential to keep the balance between your body demands and the level of performance and energy that you want to achieve. These traits often times are patterned after the culture to which we belong and can be seen to have either a positive or negative impact on the development of the individual - many times a negative influence can manifest itself in the form of illness. Chi-kun, Tai-Chi Chuan, yoga and even dance are examples of the different arts that were designed for one to learn to balance the hormones, glands, and endocrine systems: they use the bio-electrical energy in the body. In different physical activities, such as playing the piano or any keyboard system, singing, dancing, the body is used in both artistic and professional levels. These activities demand a knowledge of how to do such activities in relaxed mode. Otherwise, if one plays tense, and one doesn't know it, eventually one is going to hurt oneself: any injury or even accident comes from the source of our own weakness. Collapsing means a loss of balance. Practically speaking, one of the routines we use to train ourselves is the understanding of our energy that is being used in exercises that balance the right and the left side of the brain, programming a new habit based on relaxation and self attention. 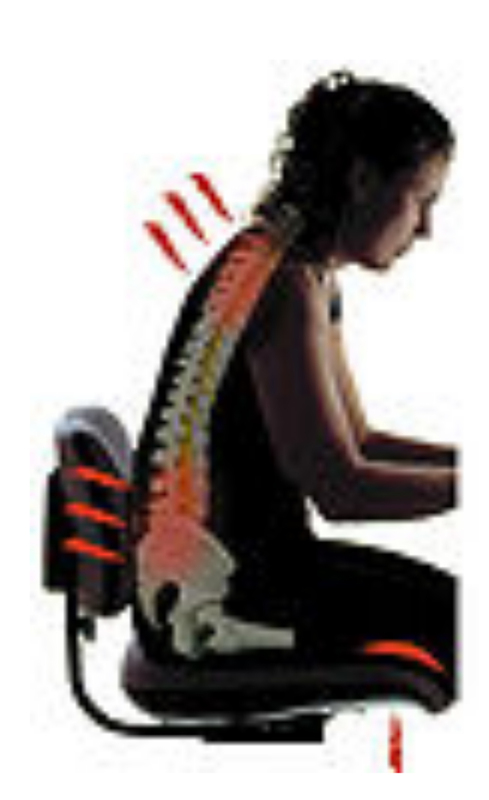 Habitual movements without attention can develop wrong ways to perform certain things, create tensions, pains, and complications like frozen shoulder, carpal tunnel syndrome, scoliosis, sciatic, lumbar, and knee problems. Experiences such as a lack of emotions, worry, negativity, anger, lack of self confidence, intestinal problems, wrong work in the digestive system, acidic stomach, headache, skin problems, addictions and depression can all result from habits of tensions. Habits are a lot of information in our brain. This is our behavior in relation to our information or database: sadness is a just a programmed habit, and good health and happiness can be programmed through processes of learning and work. The classes are designed to give you the space to create a unity of associations with special exercises for educate movements through the development of one's will. At the same time, when you use cells in your brain that are blank virgin cells, we expand our capacity to find a new space full of relaxation: energy and attention is under our will. Pain, tightness, blocks, toxins, and illnesses are removed organically. Instead of working with habits that worsen the problem, you transform yourself to create a new person with new habits.